The adventure is calling you! 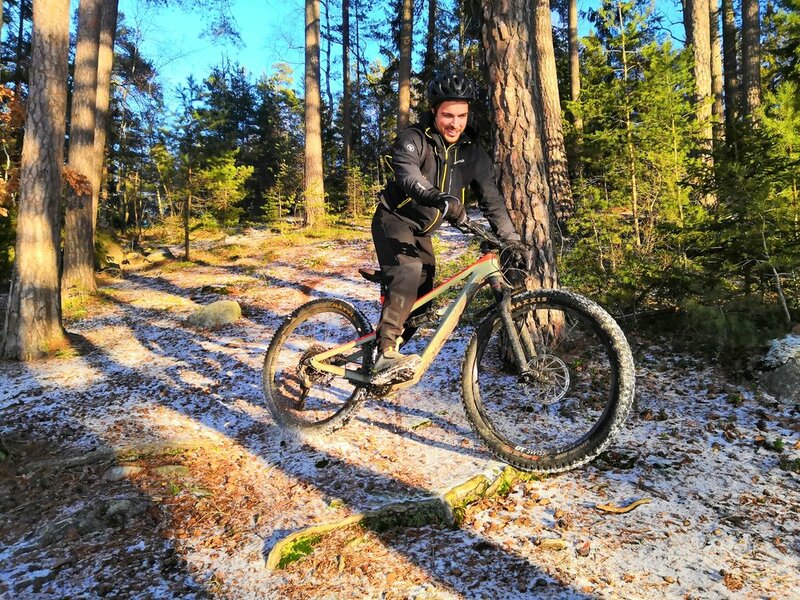 Go for an impressive mountain biking (MTB) ride throughout the forest right next to Stockholm. This forest is so big that you could bike for days using different trails each time. This location is like a maze of hundred of tracks and is one of the best spots in the whole Scandinavia. Lucky for us, it’s right next door to our office that is located south of Stockholm; 10 minutes by tube from the very center. We will start at 09.00 from the agency, check that the bikes are well set for you, that everything feels comfortable, make sure that we’re all ready before taking the direction to the forest. After 6 minutes on the road, we will already arrive at the very beginning of the forest, you’ll notice it’s smell from the pine trees, the green of the leaves and the singing birds all around. Yes we bike in this atmosphere. Some parts will be more technical but your guide will be happy to show you how to manage them best. This rocky terrain in deep forest can be sometimes dry, sometimes muddy, cold in winter and hot in summer. 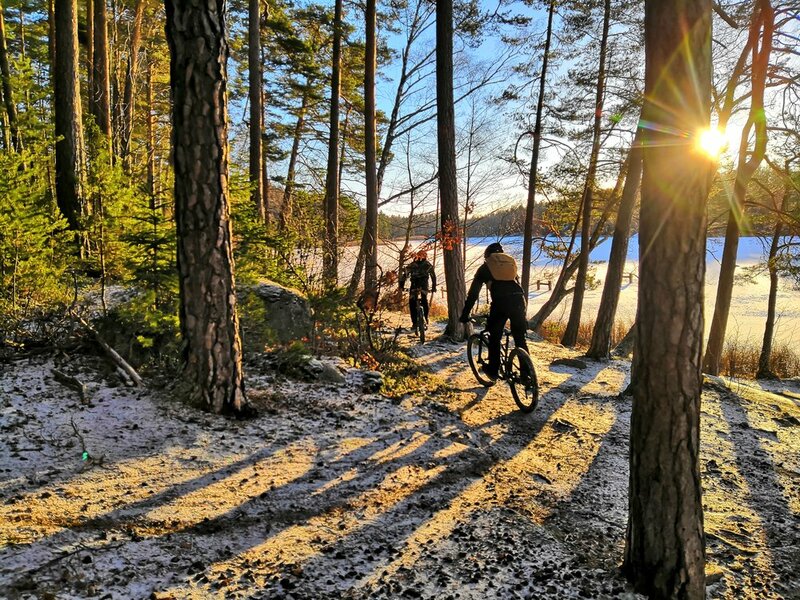 Swedish nature never stop to impress us, we’re sure it’ll be the same for you! At lunch break, sandwiches, coffee and cookies will be available for you. We’re going to have another break as well when we all feel so. What about having a dip in a lake at the end and after having sweated so much. Probably the perfect idea during summer days. Nothing better after this adventure. 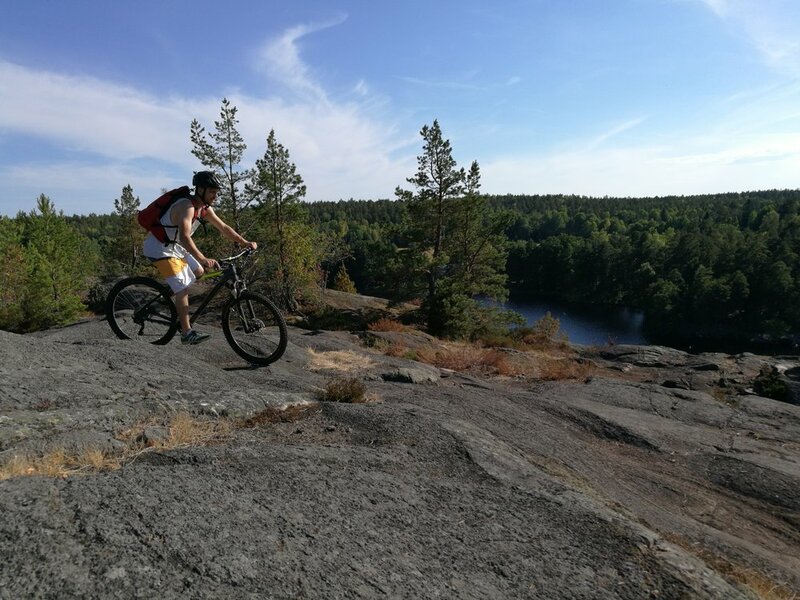 We’ll be back at around 14.00 with the feeling of having discovered the fantastic Swedish nature and ready to get back to the city after a good work out and full with adrenaline.